A lot of people do like to skip dessert---I'm not one of them. And sad to say am not evolved enough to be europeanally happy with a nice piece of cheese, which would make pairing relatively easy. However with a little luck and ingenuity, pairing desserts with wine can be easy and fun. One of my favorite pairs is the Aglianico and Chocolate Budino at A16 in San Francisco, which I described in rapturous detail previously. When I have people over, I love making home made ice cream for the simple reason that it is easy to make it in advance and then it's one less thing I have to think of, without resorting to swathing a Trader Joe commercial offering in whipped cream. Plus, if you make the ice cream yourself, you can present more exotic options like rose petal, St. Supery peach (thank you Lesley Keffer-Russell), dried cherry-port, the list goes on. My go-to base takes two days to make, what with the custard cooling, etc, so I have been experimenting with a quicker recipe that lets me go from cravings to savorings in under an hour. So for this Wine Blogging Wednesday, I knew exactly what I wanted to try. 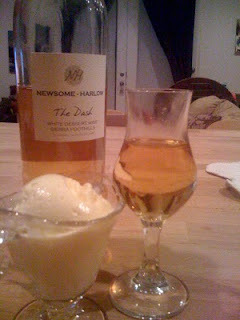 Newsome Harlow puts out a dessert wine called "The Dash". Labelled a Sweet Dessert wine, I think it is made from Late harvest Muscat Canelli and it is delicious all on its own. With a peachy, gingerey flavor and silky rolling mouthfeel ,capped off by a sweetly spicy finish, it is very tasty. Since it reminded me of Sauterne, I thought it would be perfect to incorporate into the sabayon base for my gelato. Over a double boiler, with water on a low simmer, beat 6 eggs yolks with 2 tbs sugar with an electric mixer until the mixture is pale yellow and very thick...about 4-5 minutes. Be careful not to overheat as yolks will cook. Reduce heat. Whisking vigorously with a wire whisk, add the 1/4 cup of wine into the egg yolk. Then add, the orange zest and the remaining wine as well as the port. Add the liquor slowly while whisking continuously. When the mixture is thick enough to coat the back of a spoon it is done. In separate bowl, whip cream into soft peaks. Add remaining sugar and continue beating until well mixed but stop before the cream gets too stiff or turns to butter. Once sugar is mixed in, fold in sabayon. Once the two mixtures are loosely incorporated, pour into ice cream maker and process according to manufacturers direction. I usually take it out of the ice cream maker at a soft stage and place it in a freezer container to set. Paired with The Dash, you get the complementary textures of the opulent, silky wine together with the meltingly silky ice cream. Talk about Tender Twosomes! Delicious! Newsome Harlow is located in Murphys, California. Well, it's not exactly what you think, but more on that later. First, I got to attend the "Taste of Place" event put on by the Demeter Trade association, a group of passionate, talented individuals working collectively to raise the awareness, help educate and actively encourage the use of Biodynamic practices in agriculture and commerce. Coming out of the work of Rudolf Stein as early as the '20s, Biodynamic practices are coming even more to the forefront as we all move toward more sustainable practices in our daily lives. 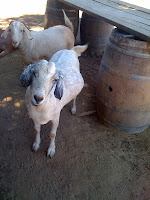 What I learned is that there is a whole lot I do not know about Biodynamic, including "why the horn?" 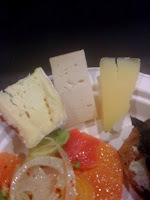 However, the produce was delicious and the amazing cheese (Devil's Gulch, Tatanaise and Sonoma Gold) a bonus. Maintenance of a healthy and diverse ecosytem: an expectation that the farmer supports a broad ecological perspective, which includes not only the earth, but as well the cosmic influences and rhythms of which the earth is a part. Since 1992 Demeter has prohibited the use of genetcially engineered plant materials and organisms"
Oh and the cougar part? So, Michelle and I were having a "discussion" about some of the younger wines, with me perceiving them as drinkable now, while she preferred/yearned for/was set on waiting for them to get beyond mature to well, kinda old. I like young wine. So I told her if that makes me a Wine Cougar, rowwwr. And I changed her name to Anna Nicole. But we both agreed on this: It was wonderful to see and hear the stories and the dedication of the wine makers to this interesting discipline. Adventures in wine ARE all around! Recently I was lucky enough to be invited along by Luscious Lush Thea to the Wine and Wishes event on Treasure Island. How did I not know about this? It is a fabulous event put on by the Make-A-Wish people to benefit the programs that fulfill wishes for sick children. Not that I need a good cause to drink up, but when it's for the kids,...well. Not only was a veritable gauntlet of tony noshes and bites... too many to mention. 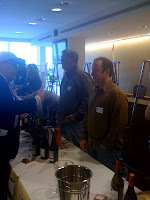 And we got to see (and by see, I mean taste) many of our favorites from all over Nor Cal. But the real adventures came when the Tipsy Twins started to hit the Silent Auction. With a ton of wonderful offerings, temptation struck and we bid on like 6 things. Thankfully for Mr. Visa, we were outbid on everything. 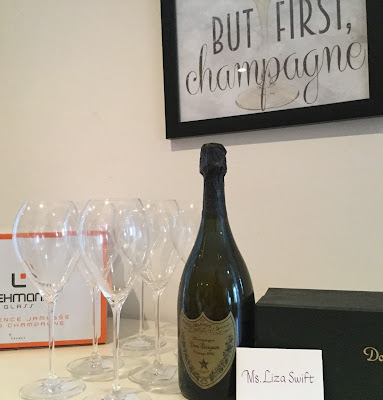 But one thing we were committed to, we won ( I will be silent on whether my pit boss-like stance and hockey-goalie-esque demeanor had anything to do with our winning bid). It was our good fortune to come away with the '07 Olson Ogden Syrah, Stagecoach Vineyard, Napa, California. I opened a bottle this weekend and I was even more delighted. Dark in the glass, the aromas evoked blackberries and spice. With pleasant tannins that tickled the top of my mouth, and flavors of black cherry, cigar box, anise, it evolved over time to even tastier dark fruits and spice. Yum! At $52 dollars, it may sound a little pricey, but for a small production single vineyard Syrah from Napa, it actually seems like a very good deal. And for us? It was all for the kids! This wine is a clear golden hued orange. 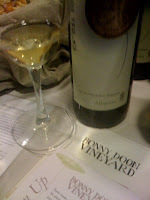 Its aromas were fresh and minerally along with hints of dried pineapple. The mouthfeel was rich and almost silky. With flavors of dried pears and a long minerally finish. It ended up being my overall favorite of the evening. Cloudy yellow color. Nose was interesting with hints of funk and fuel, cat piss, tobacco and Asian Citrus. I got definite scent of loquats. The wine had a lovely silky texture. Nutty, citrusy flavors that went well with the cheese. Yum! Aromas and flavors of GrapeNuts and spice. Yummy aromatics. Nutty taste with malty hints and Lemon Tootsie Pop. Color of cloudy Orange Crush. Initial aromas of white peaches, golden raisins and honey. Later more spice and hints of nettles. Later, floral, rosy aromas came out. Flavors were subtle and changed in the glass. It was delicious with the cheese. this wine is made in an ancient manner where it is not touched at all except when being picked or after 7 months when whatever is pourable is bottled. It is even stirred only by rhythm of the moon, thun the moniker "Lunar"
Made first in amphora, then aged in oak. A blend of Chardonnay, Riesling Italia and Sauvignon Blanc. The color was the clear and orangey, like bottled ice tea. The aroams were ripe with honey, dried figs, spice and honeydew melon. It had intriguing flavors, were woodsy with hints of sandalwood. And a sharp finish. And was definitely food slutty as the cheese combined with it to make it far yummier with food than without. This color was clear and orange. Aromas of bananas foster with carmelized fruit, cinnamon stick. Flavors included baking spice and crepes suzette. Thinner mouthfeel than many of the others. Slightly grippy with an initially sour finish that smoothed over time to platano maduro. Color of honey. Aromas of apricot with a touch of herb and slight hint of gasoline. Prominent acidity. Sour flavor with apple brandy notes. It seemed really food freindly and made me want to pair with pork in a cream based appley sauce. Interesting notes of orange peel on the finish. All in all a delightful introduction to the world of Orange wine that only made me want to find out more. 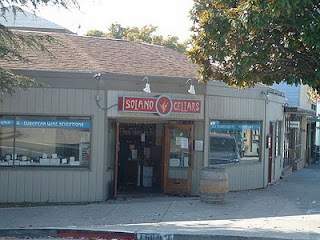 Many thanks to Jason and Kirsten at Solano Cellars for always mixing it up! and bonus point for Brendan from Periscope Cellars who busted out some Cali examples of skin contacted whites that delighted us even further. Make a Date with Sonoma's Finest! It's Restaurant Week! Have you made your reservations yet? It's almost Sonoma Restaurant week! Open Table calls it "Sonoma County's most delicious week". Where a selection of Sonoma County venues invite you in for $19, $29 and $39 dinners. Three courses of Sonoma county freshness and access to the delicious Sonoma wines? Forget about it! I am there! After my great experience with the San Francisco Visa Dine-about, I am even more eager for this inagural event. Last Spring I went to an event at Estate and loved it. And at Good-Eats-And-Zin and the Make-a-Wish events, I loved the bites presented by the girl and the fig. So, I knew where I wanted to go, but all the choices made it a tough call. Take a look here for a full list of the places participating. Bonus: I get to hang out with two of my favorite Santa Rosians, whom I have lured South on many occasions. Wherever you decide to go, make a reservation to make sure you get your first choice. OpenTable makes it super easy! See you there! Balloons were definitely in order as the release of Stomping Girl's 2008 Lone Oak and Split Rock Pinot Noirs was a celebration. We had gone to pre-release last year and have been waiting ever since. Now in a larger space near Fourth Street in Berkeley, it was so fun to see Uzi and Kathryn (and like 100 other Stomping Girl enthusiasts) and even more fun to taste the final product. '08 Stomping Girl, Pinot Noir, Lone Oak, Santa Lucia Highlands, California. Yum! This pinot has the delightful nose coaxed from the tasty fruit of the warm, yet breezy Santa Lucia Highland area. I got a lot of ripe fruit in the aromas. An lovely well balanced acidity when I tasted it. '08 Stomping Girl, Pinot Noir, Split Rock, Sonoma Coast, California. Sassier aromas with more spice and red fruit. Different textures, but still delicious. I got more cherry, softer, fuller mouthfeel in this Pinot expression. Delicious Sonoma Coast character. Between the two, I couldn't decide, so I grabbed both! 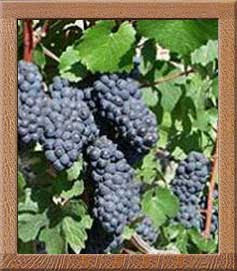 With small production artisan pinots, get while the getting is good! I always say. The tasting notes put out by St. George Spirits for their Absinthe Verte lists "fine brandy, star anise, mint, wormwood, lemon balm, hyssop, meadowsweet, basil, fennel, tarragon and stinging nettles. This infamous liquor reveals seductive flavors of anise complimented with sweet grassy tones, light citrus, white pepper, and light menthol notes." Why that says "Gelato!" to me, I will never know but if you like (okay really, really like...it's an acquired taste) absinthe, this is an alchemical sweet you should try. Over a double boiler, with water on a low simmer, beat 3 eggs yolks with 1 tbs sugar with an electric mixer until the mixture is pale yellow and very thick...about 3 minutes. Be careful not to overheat as yolks will cook. Then, remove from heat and very, very slowly while whisking vigorously with a wire whisk, dribble the absinthe into the egg yolk mixture a few drops at a time taking care not to pour the liquor in too quickly as mixture will seize. When absinthe is mixed into egg yolk mixture, set aside. In separate bowl, whip cream into soft peaks. Add remaining sugar and continue beating until well mixed but stop before the cream gets too stiff or turns to butter (hey, it happens). Once sugar is mixed in, fold in egg yolk/absinthe mix. Once the two mixtures are loosely incorporated, pour into ice cream maker and process according to manufacturers direction. I usually take it out of the ice cream maker at a soft stage and place it in a freezer container to set. The alcohol in the absinthe will prevent it from freezing all the way. Makes about a cup and a half of gelato, which is either a little too much or not quite enough depending on how much you like the taste of absinthe. It ends up being exotic, licoricey with a hint of the medicinal contrasted against the silky rich frozen cream. Tuesday night (especially with the weather being unpredictable at best) always has me snuffling around like a truffle hound for something inexpensive and nice to pair with whatever homey thing I am dishing up. I received this Syrah as a sample from Pasternak Imports, however had I been in a wine store, the fun label and $9.00 price tag certainly would have had me at hello. "Jaja" is colloquial French for casual, easy drinking wines according to the label, which also suggested the bottle should be served chilled with substantial fare. Check and check, as with winter temps, the whole house is a refrigerator. I let the wine breathe while I whipped up a quick whole wheat pasta with vegetables. Then sat down to try it. Le jaja de Jau, Vin de pays d'oc, 2007 France. In the glass it was purple and somewhat opaque. Aromas of blackberries, grape jelly and slight hint of warm earth. The wine has a nice mouthfeel and very light tannins. More blackberry on the finish. Definitely a little food slutty as the pasta brought out more more earth and less berry, but it clashed a little with the broccoli and I wished I had gone for the rotisserie chicken instead. Made by a woman winemaker, Estelle Daure, I found it to be a perfect Tuesday night wine. I think I had almost as fun drinking it as she did. At last a ray of sunshine in the Bay Area, but still drizzly days and threats of rain. After a day in the chilly air, I came home craving beef stew. I have a great Lazy Girl recipe that involves no chopping and has two secret ingredients. One is wine (not really secret) and the second is a cinnamon stick. Which can make picking out the wine a little more challenging. Luckily, in the somewhat distant past, I was sent a sample of '07 Trumpeter, Malbec, Mendoza, Argentina. At only about $10 a bottle, I was hoping to find a good Tuesday night wine with the right charateristics to go well in, and with, the stew. Yum! The nose had aromas of dried cherries and stewed plums. It was smooth but with just enough gentle tannins to stand up to the tomato based stew. A bunch of fruit flavors whirled around: cherry, berry blast, Italian plums. Bonus! Slight hint of cinnamon and spice, and a yummy sort of agro-dulce, sweetness in the wine's fruit forward nature with a nice touch of sour, went great with the finished stew. The color was dark, inky and opaque. Kind of like the plot of "Lost". Which coincidentally completes the perfect match! Perfect Tuesday Night Wine: pleasing, easy to pair and excellent value!